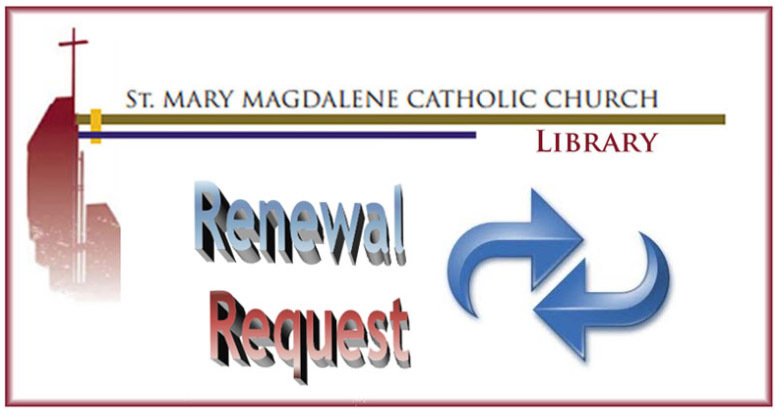 Locate the St Mary Magdalene Library label on the book, DVD or CD you want to renew. You will see a barcode on the label. You will also see the barcode content as a 5-digit number on the label. That number plus your personal identification is all you need to submit your renewal request. Thank you. Unless you hear from us, you will be granted another 21 days to hold the material you have borrowed. If there is another person who reserved the material you currently have and is waiting for it, we may ask that you return it.